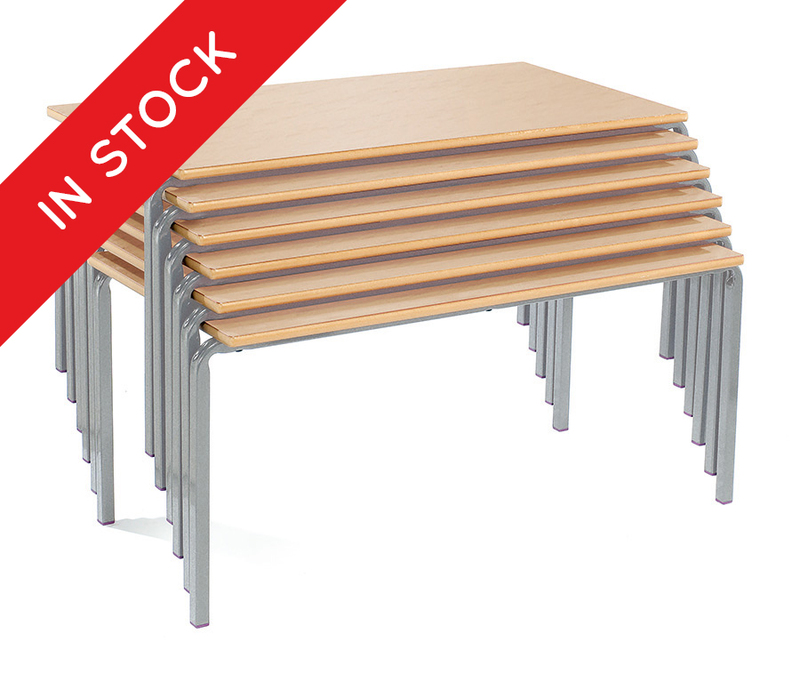 These rectangular crushed bent classroom tables are in stock and are available for delivery within 7-10 days. 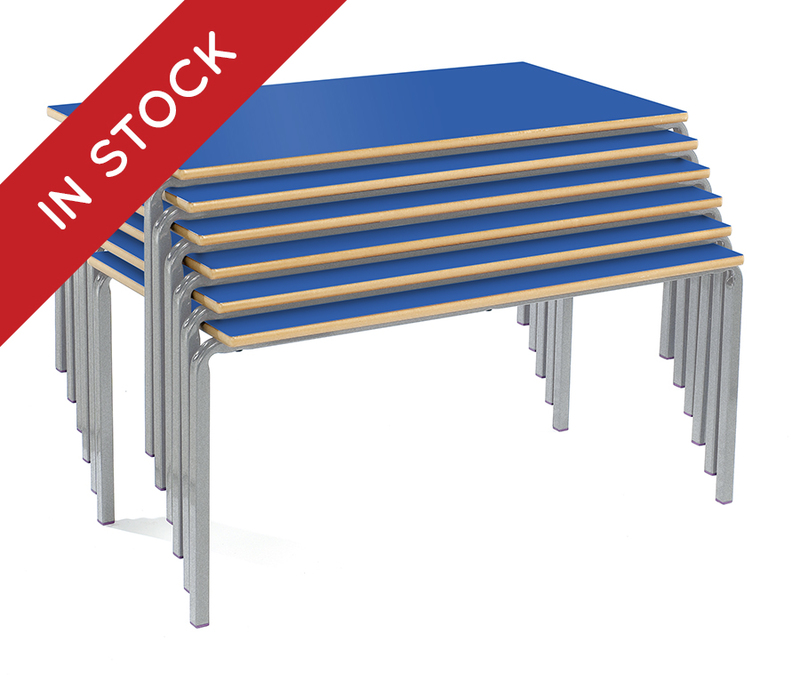 Supplied in packs of 4, these rectangular tables are suitable for use within schools, pre-schools and nurseries. The table top size is 1100mm x 550mm and comes with a choice of 3 heights suitable for different age groups from 4-11 years. The 25mm steel square tube frame is finished with a choice of speckled light grey paint or a black finish, and the 18mm MDF laminated table top is available in 3 colours – light grey, beech or blue. The table top features a hardwearing MDF bullnose edge which is polished and lacquered for extra durability. 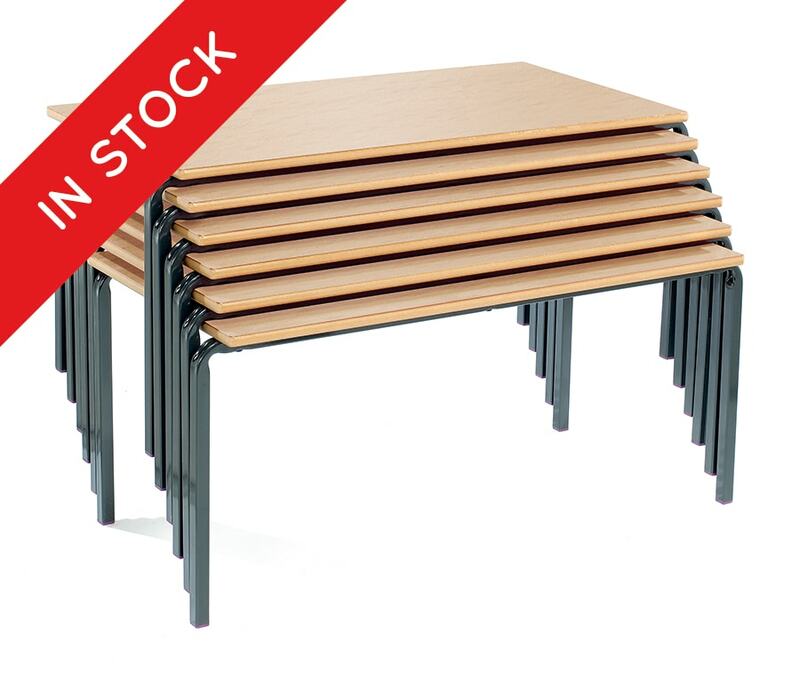 The Crush Bent table range can be stacked up to 8 high making them easy to store when not in use. Fully compliant to EN1729, these tables have a 5 year warranty. PLEASE NOTE: These classroom tables are sold in packs of 4 only. Therefore, adding a quantity of 1 into your basket will order a set of 4 tables, quantity of 2 is 8 tables etc. For more information please Contact Us or call us on 01733 511121.